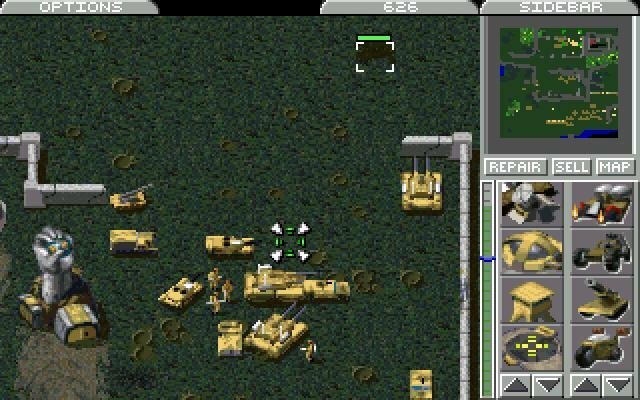 Real-time strategy from when it was still ‘action wargaming’. A squad of GDI in a non-production mission. 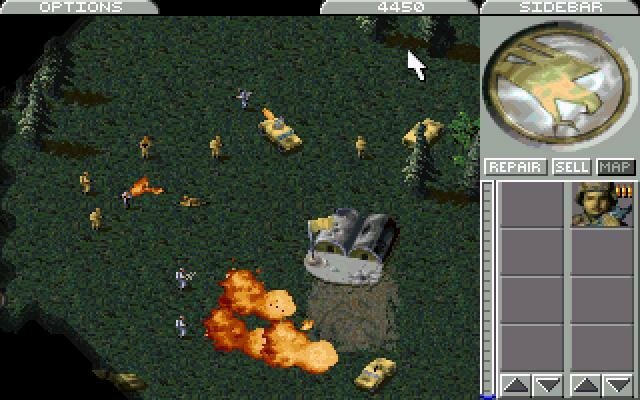 If you ask gamers who’ve been around about their favorite early 90s games, you’d likely find a surprising title called Dune II. 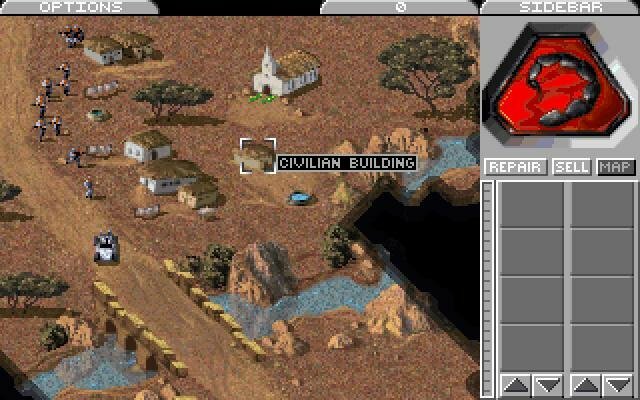 Released in 1992, this action-strategy hybrid earned Westwood its place as a premier strategy game designer. 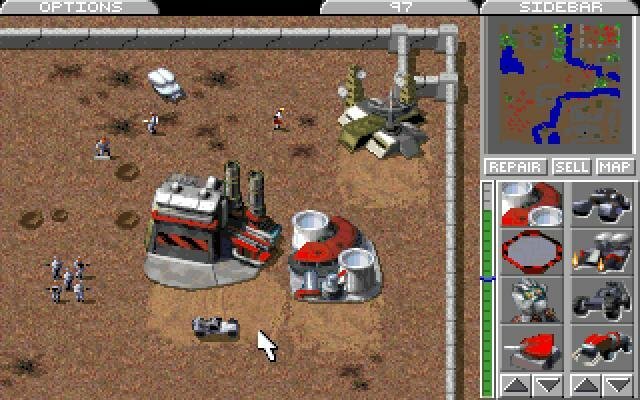 Although it would eventually branch off to form its own franchise, the fledgling Command & Conquer of 1995 borrows quite a lot from the Dune II bag of tricks. 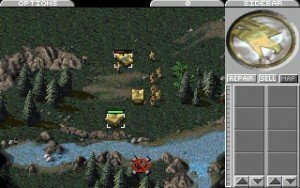 Both C&C and WarCraft II were released around the same time, and both were succesful enough that they directly competed against each other. 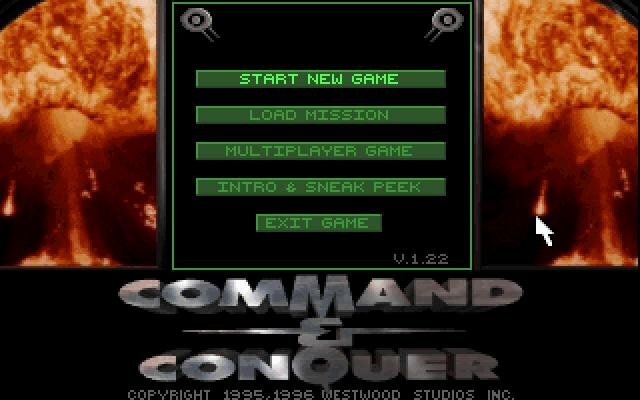 Among 90s real-time strategy games you’d either get the high fantasy of WarCraft clones or the sci-fi sleekness of Command & Conquer… affably nicknamed ‘Clone & Conquer’ titles. 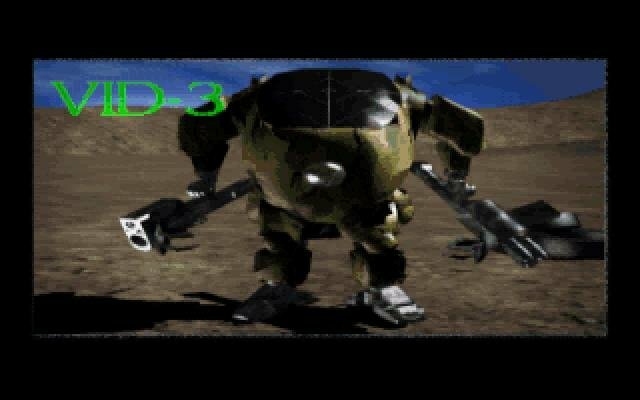 Despite the technical advances of the following two decades, the original C&C is still good fun – the music especially alternates between suspenseful and hip, while the cutscenes remain entertaining in a very corny sort of way. 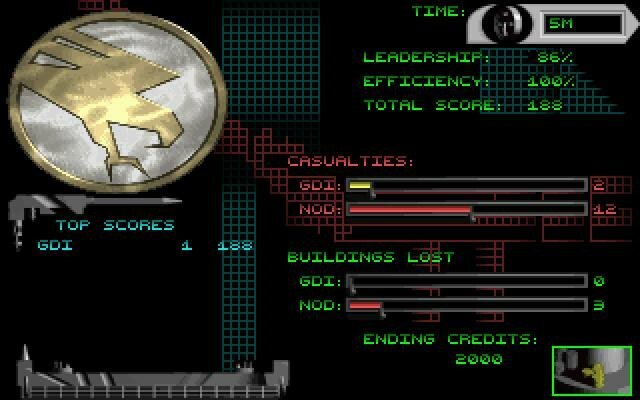 The gameplay is all there in its tentative, DOS-dated format. 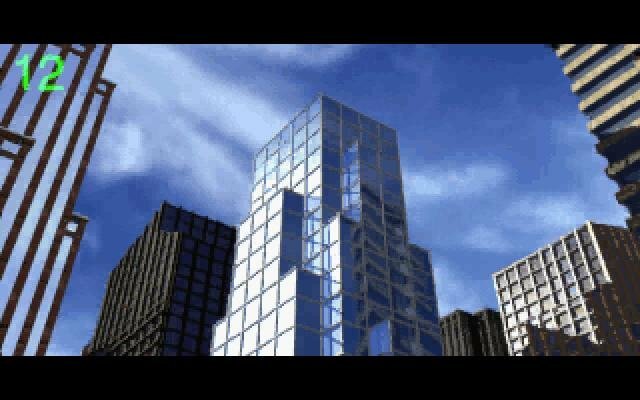 C&C begins with a lengthy introductory sequence which turns your monitor into a ridiculous 90s TV set. Through a combination of live-acted videos and rendered scenes, a story slowly begins to emerge of a future Earth where two factions are facing off. The enemy is the Brotherhood of Nod, a once secretive group that a corrupt U.S. defense contractor has covertly supplied with a massive amount of arms. The head of Nod, Kane, now wants nothing less than control of the world’s energy sources. Arrayed against the radical Nod are the forces of the United Nations Global Defense Initiative, or GDI, a multinational force sent to crush Nod incursions and regain conquered territory throughout the world. 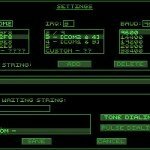 At the game’s start, you can choose to command either Nod or GDI forces. 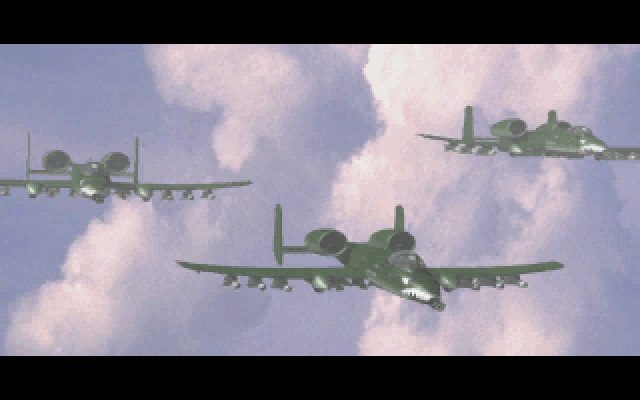 Each force has different scenarios and different equipment, with a total of about three dozen missions and two dozen different types of units. Scenarios come in different varieties: conquer territory on the map, assault a fortification, pound your way into enemy buildings to nab something valuable, and so on, with the ultimate goal being to drive the enemy away from various regions. 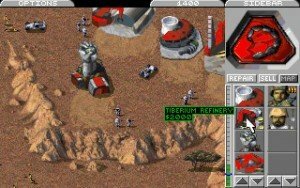 The most essential part of any mission, however, is mining rich supplies of Tiberium, a mineral essential for power and money. 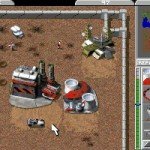 As you gathered spice with harvesters in Dune II, so you’ll mine, process, and use Tiberium in C&C. Found in small sections on every battlefield, Tiberium provides you with the power necessary to build new units, and you will definitely need to build new units. 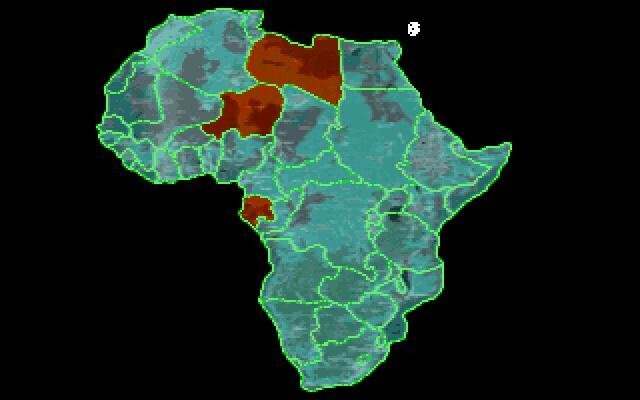 The Nod center their war effort in Africa. 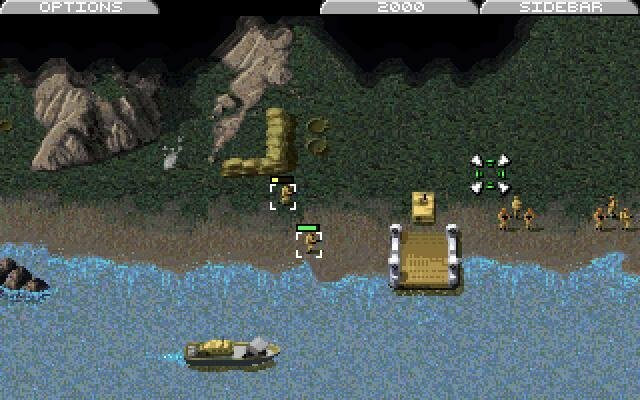 Combat is controlled from a top-down view of the landscape, presented via the super advanced battlefield interface known as EVA (Electronic Video Agent). The world consists of trees, mountains, destroyed buildings, and even small towns dotted everywhere, but the ground installations of opposing forces will be of most interest. 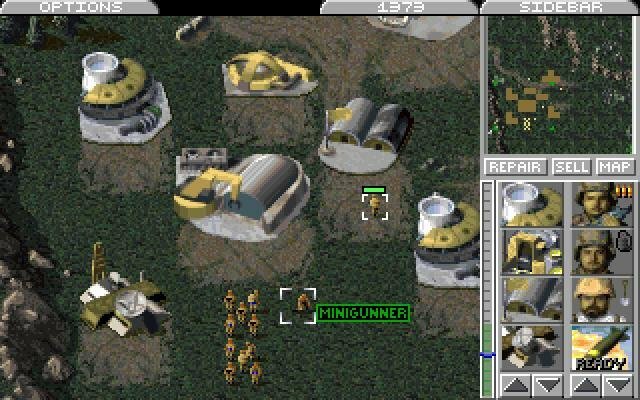 Small compounds not only allow you to produce units and power, but you can also build gun towers, SAM sites, weapons factories, helipads, airstrips, troop-destroying lasers or defensive sandbags. 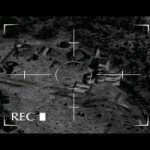 The goal of most, if not all, missions is to find the enemy structures and destroy them. 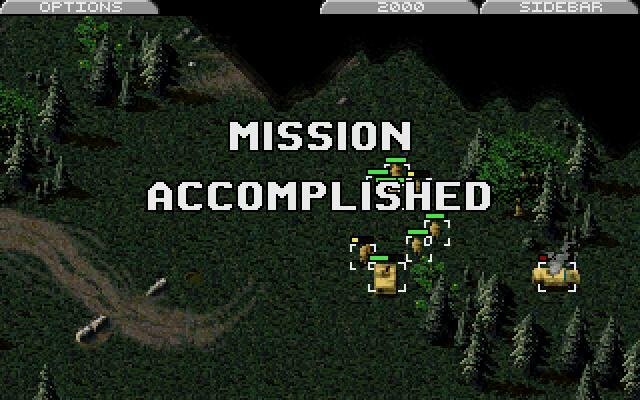 Sometimes you may just need to neutralize SAM sites so an air strike can get through, while other missions will require you to take over enemy structures (something which can only be accomplished with engineer units). 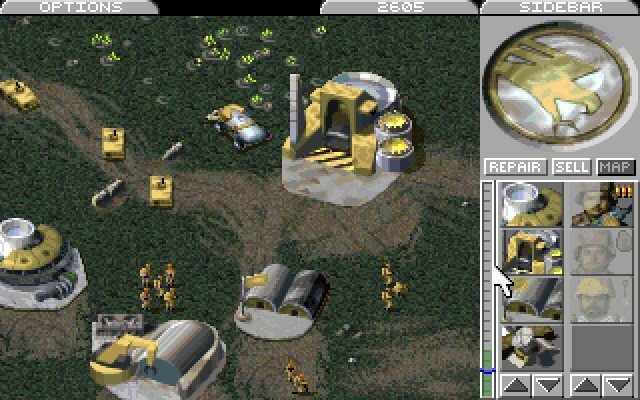 Buildings and bases are key to C&C, but as with all wars, it’s the dogface on the ground who means victory or defeat. Units are controlled from a main map screen that shows a close-in view of the landscape. When you build a communication facility, you get overview maps that display unit locations and explored territory. 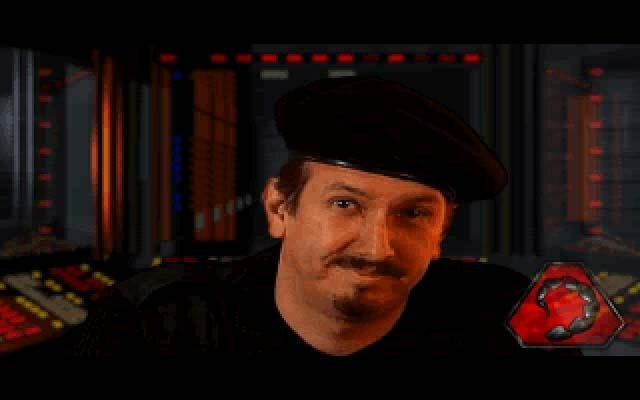 As with Civilization, the entire map is black until your men and machines explore it inch by inch, so you never quite know what you’re in for. 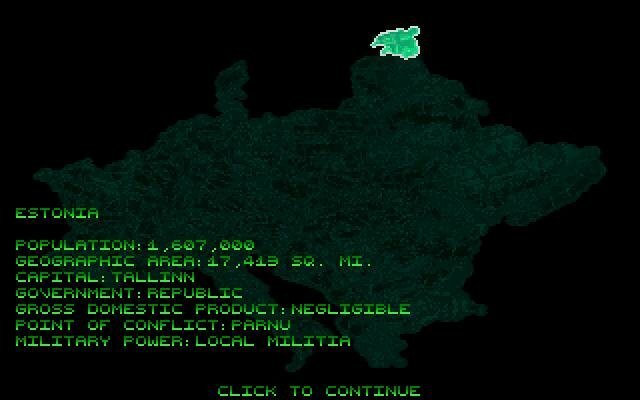 Controlling units is simple: just click on them, click on a destination, and they’re off. They will engage any enemy until they or him are dead. 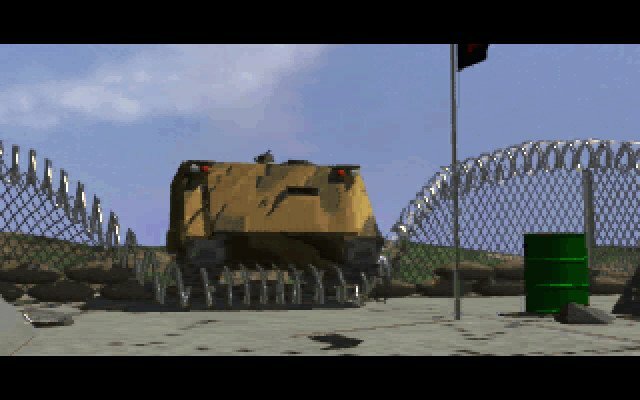 Each figure is animated, with gunners crawling on their bellies, grenadiers lobbing grenades, flamethrowers scorching the earth, and planes flying overhead. 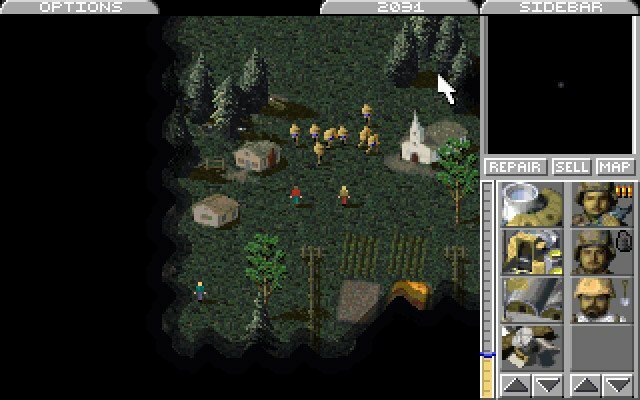 Units die with sickening frequency, but if you have a base and enough Tiberium, you just build more. Building up the Nod base. There’s quite a lot of ingame video material. 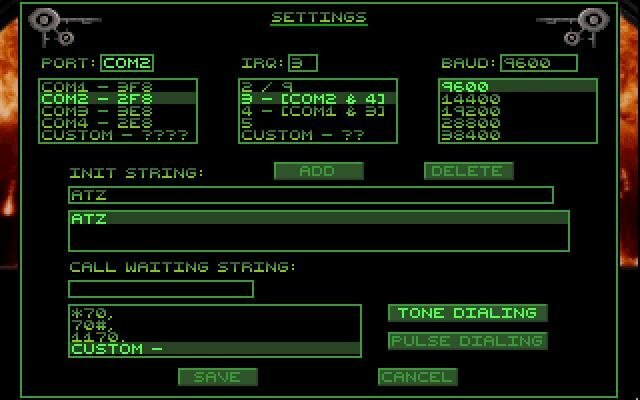 The intricacies of a mid 90s modem game. Once a new battle starts, the clock never stops until all your units are dead or you’ve completed the victory requirements. The real-time combat makes for a satisfying blend of action and strategy, with some scenarios being nonstop brawls, and others being more trial and error military set-pieces that tend to bog everything down a bit. More novel is the way you can choose your path through a campaign, picking which territory to invade (and hence which mission to attempt). 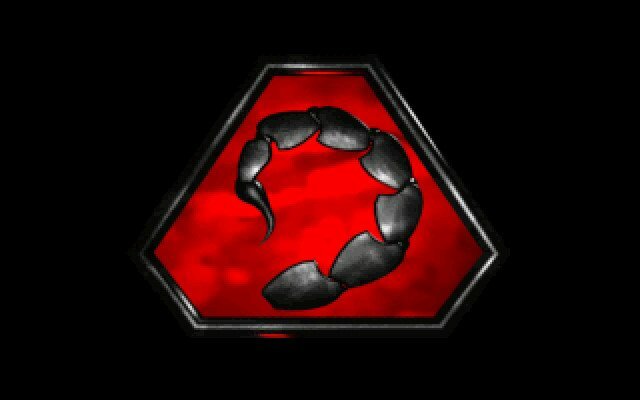 The success of Command & Conquer lies in its entertaining blend of action, corny story and probably one of the coolest music scores in any RTS game. 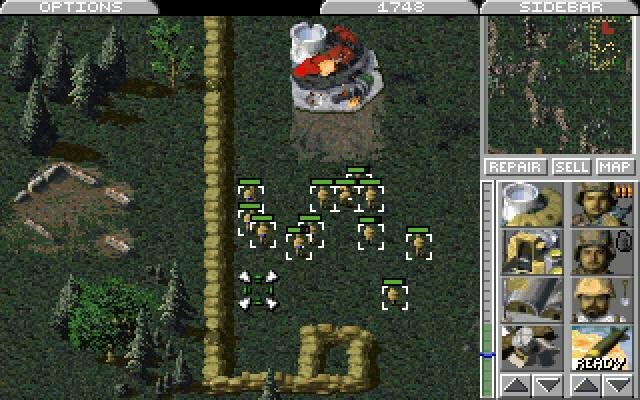 Westwood has done a great job with the game overall, and RTS players (WarCraft II gamers especially) ought to give it a look. 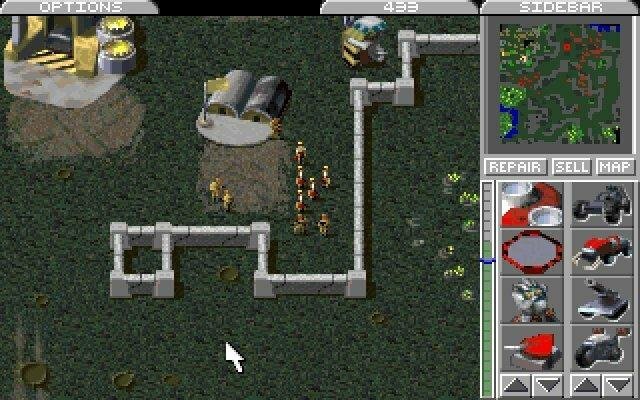 The first RTS game i ever played. I simple love it.